I remember when this first started, in fact you might remember me from then. Anyways, I've been using your mod ever since then in the three different packs my private server has updated too, everyone on the server likes it and really like the wireless transport. Is there a Minetweaker/Modtweaker Integration with the Atomic Reconstructer? Or can you add/remove "recipes" in the config? You can remove them in the config, yes. There is no MineTweakter integration (yet! ), sorry. Thanks for the bug report, it will soon be fixed. Really enjoying the mod and glad to see all the frequent updates. Only critique I have is that the new rings seem a little underwhelming. The first tier jump ring I didn't even notice any difference at all, and the second tier only jumped two blocks. That doesn't seem worth two nether stars. Again, I really like the mod. Keep up the great work! 2. The First tier Ring is always the same as tier 1 on a Beacon, the second one is a Beacon with all of the Iron Blocks below it, more than 2 Stacks. The first Nether Star is "the Beacon", the second one is instead of all of the Iron blocks you would have to put below. Also: A Beacon only has a set range, the Rings work everywhere. They're actually really overpowered compared to Vanilla Minecraft, not at all underpowered. Got a server crash when I shift right-clicked the phantom connector in the air. Really impressed with the mod thus far. Some things I've noticed: The coal generator doesn't power from the sides. I made a low-tech mod pack and I'm using Progressive Automation and your machines don't accept power from it's generators. Keep up the great work! Okay, I looked into it a bit and the Generators from Progressive Automation isn't an error on my part. When providing Energy to other Machines around the Generators, he might want to check for IEnergyReceiver instead of IEnergyHandler as that's the way it appears to be commonly done. As for the Coal Generator: It does power from the Sides, also to Progressive Automation Machines. You might have derped something up maybe. On what machines didn't it power from the sides? That's an interesting bug if it actually is one! I'll be sure pass that on to Vanhal. Also, I checked again and the machines are now getting power from the sides. Not sure what happened. If it happens again and I'll let you know. Thanks for taking the time and looking into for me. Can't wait to see what's next. Keep at it! What do you mean? I know you could duplicate the Seeds, but that was a Bug that should be fixed. I am going to, right now, call dibs on being the one to have known this mod will make it big. This is quite possibly the best mod since Thermal Expansion. I really, really, love the way it's made. The drills are amazing ( especially the right click augment's slot deciding system) and i love everything about it. This is honestly too much for a newer mod. 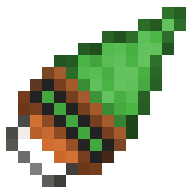 I have no doubt in my mind, the FTB team will make a pack with this mod in it, and you're mod will become super popular and you'll be the next iChun. I talked to you before on minecraft forums, but I just wanted to let you know I did actually end up using this in my private modpack (me and like three friends on a server) and it's a pretty good mod. The texturing for the quartz looks great and i really like paxels, I've missed those the good old voltz days and it's great to see them back. I also love the ability to disable things in the config, that's super useful.